Procter & Gamble, the largest packaged-goods player in the world, disclosed in an earnings call this morning that it will divest or shed 90 to 100 of its brands in a major streamlining effort. The idea behind the move is to put more focus on the company's core 70 to 80 brands (those that generate annual sales of more than $100 million and in some cases more than $1 billion, including Tide, Crest and Pampers) while shedding products that have suffered sales declines. "Less will be much more," P&G CEO A.G. Lafley said. "We are going to create a faster growing, more profitable company that's far simpler to operate." The jettisoning of dozens of brands no doubt will have a ripple effect on the global agencies that P&G employs, including Publicis Groupe units Publicis, Leo Burnett and Saatchi & Saatchi and WPP Group's Grey. 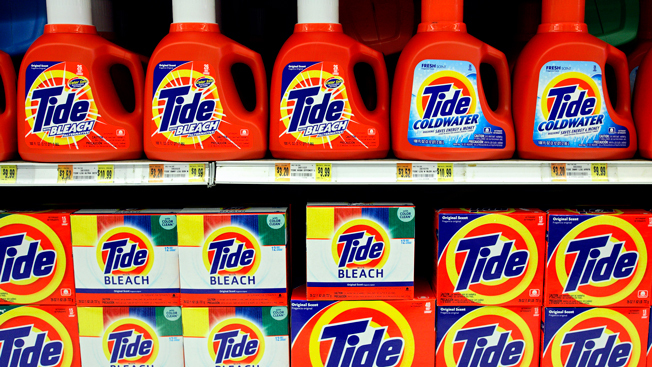 Although these agencies work on big brands like Tide and Crest that won't be affected by the divestiture, they also handle smaller, regional brands that collectively represent significant chunks of revenue from the world's biggest marketer. In its last annual report, for the fiscal year that ended June 30, 2013, P&G said that it spent more than $9.7 billion on advertising worldwide, as it generated more than $80 billion in global net sales. Today's revelations mark the latest in a string of moves by P&G to trim its roster. In April, it sold Iams, Eukanuba and Natura pet food brands to Mars for $2.9 billion in cash. In 2012, the company sold its Pringles to the Kellogg Co. for $2.7 billion. Meanwhile, the Cincinnati-based giant said net sales this fiscal year increased only 1 percent to $83.1 billion, with a net income of $11.6 billion. "We could have and should have done better," Lafley said.